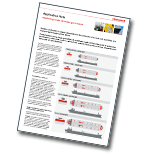 Depending on the type of vessel and its cargo, fixed flammable and toxic gas detection should be used to monitor a variety of potential hazards. The above applications represent the key uses for gas detection, but if you have an application not mentioned, please talk to our team today about your specific needs. 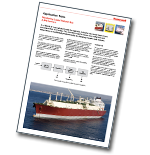 Our adaptability and experience in marine-based gas detection needs ensures that we can deliver the protection you need.